Gasoline is the mix of easily boiling liquid various hydrocarbons received at distillation of oil, natural gas reclamation, processing of fuel firm types and at secondary processing of products of oil distillation. The most important for gasoline are detonation requirements and fractional structure on which their properties depend. Operation without detonation of the engine is reached by gasoline application with demanded detonation firmness. 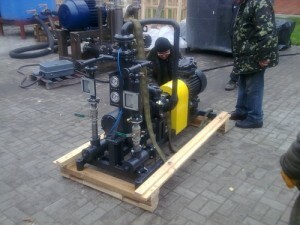 The smallest detonation firmness normal paraffin hydrocarbons possess. Varying hydrocarbon structure, receive gasoline with various detonation firmness which are characterized by octane number. The octane number is the figure showing anti-detonation firmness of gasoline. If it is higher, the firmness of gasoline against a detonation is higher. 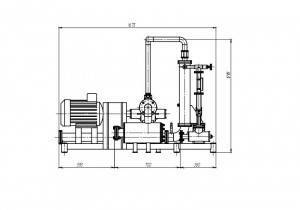 Its definition is checked by special motor installations. For improvement of cars operations quality it is necessary to provide fuel upgrading, stage-by-stage transition from supplying regular gasoline to supplying of alternative fuel. Formation of such system has to occur on the basis of scientific achievements and available experience of alternative fuel use. The most available and widespread today among rare species of fuel for engines with injection and catalytic converter is biofuel, in particular bioethanol. Bioethanol fuel has many positive properties, as a rule it use as an additive to gasoline. Research of bioethanol additives influence to gasoline based on ecological indicators and fuel profitability of the cars equipped with injection system of gasoline and converters of fulfilled gases, and rational use of gasoline with various in size additives of bioethanol make an essence of dissertation work. The choice of an optimum ratio of “gasoline-bioethanol” in fuel for the purpose of more effective use of modern cars, allows to reach reduction of ecological damage which puts to environment the car, and to reduce a share of liquid fuel of an oil origin for consumption by transport. Taking into account it the question of fuel upgrading by bioethanol additives influence to gasoline based on ecological and power values of modern vehicles with a power supply system, with injection and catalytic converter. 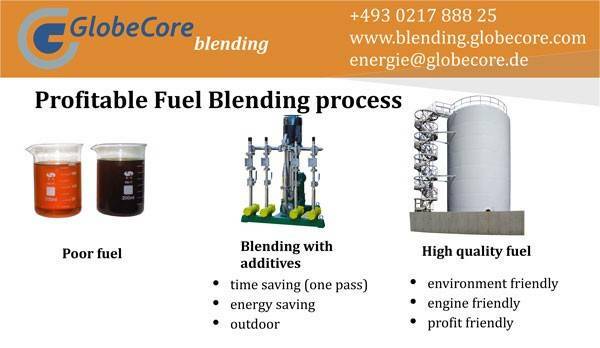 By the GlobeCore Blending company it was developed and put on a mass production a number of the fuel upgrading systems for compounding of fuels and any liquids, mixing installations are as stationary and mobile execution (the mobile can be mounted on trailers and semi-trailers, vans and railway platforms and as any other mobile means. 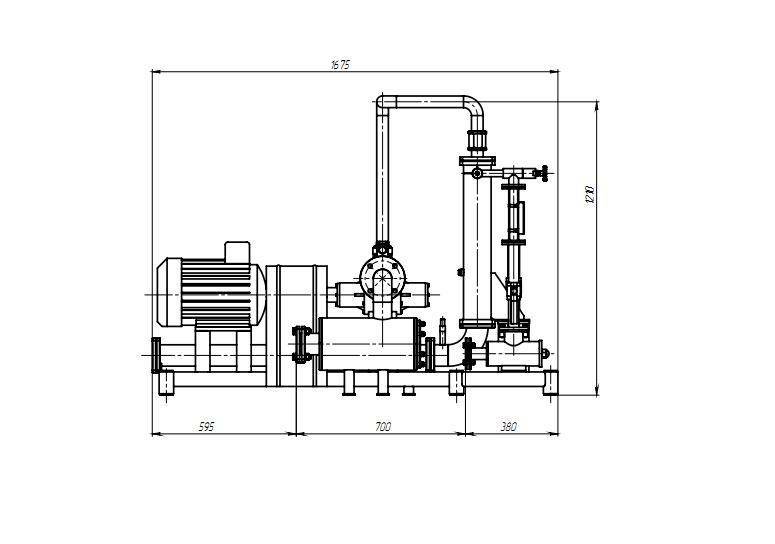 Production of all units of equipment is coordinated with the customer and generally made under individual requirements of the customer depending on demanded compounding and receiving the final product.